This week starts the EURO 2012 soccer tournament and War2 Glory has organised several events to celebrate this major soccer tournament. During this competition flags of 16 countries are involved. These flags should be collected and can be obtained from all fields level 7 and higher, or higher level NPC cities as drops. The flags will drop until the 20th of June at which point the missions to exchange the flags of winning countries will be opened. Cool prizes awaits all winners once they are decided, so don't sell them until after 20th June! Before England's games during the group stages and then major games (quarter finals / semi finals e.g.) polls on Facebook will be put up, so you can vote for the winning team. 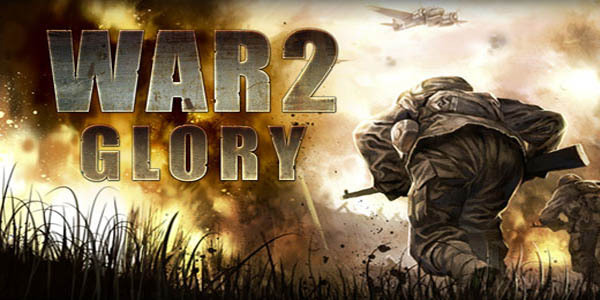 If all War2 Glory community as a whole guess right, then a daily mission will be opened in order to grab some cool prizes. There will also be new skins available for all players to purchase within the City Hall. All the biggest European stadiums will be available throughout the Euro Cup event. Once the event is over, any purchased skins will move to your favourites folder, while the rest will become unavailable. Only 8/5 dims per Stadium, for a whole week!